Off on holidays! Everyone knows London but it’s always worth a trip. Why not explore the south of the city for once and go wild swimming in Hampstead Heath? 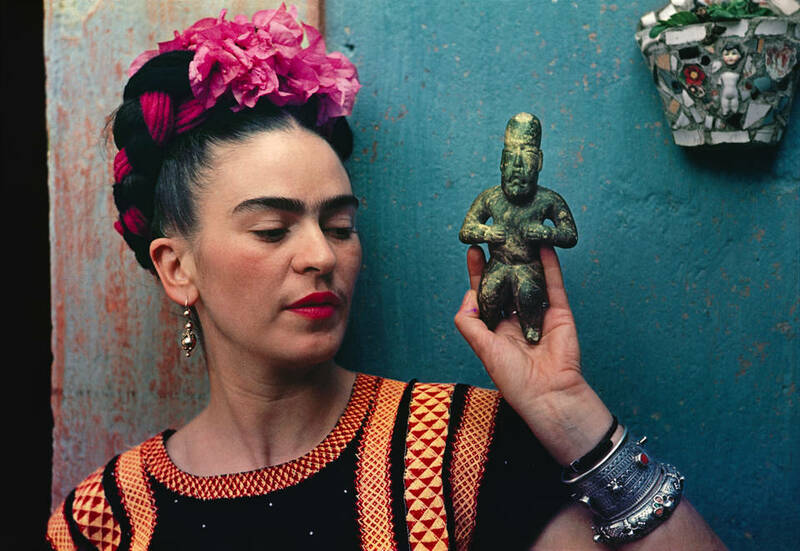 You don’t have to like the merchandizing of Frida Kahlo. Nevertheless the exhibition “Frida Kahlo: Making Her Self Up” at the Victoria & Albert Museum is definitely worth a visit. It’s the first time the artist’s personal belongings, especially her dresses (! ), left her native Mexico and as they are already in Europe, what are you waiting for? They will be on show until November 4. We recommend spending much more time in South London, where everything is more relaxed. 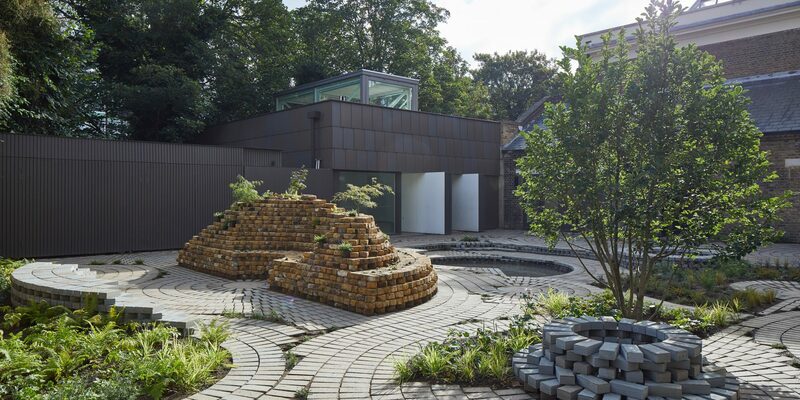 For instance at the Newport Street Gallery in Vauxhall, which opened in 2015. Gallerist Damien Hirst (yes, that Damien Hirst) had architects Caruso St John convert an old theater workshop into an exhibition venue for temporary presentations from his art collection. Until January 13, 2019 works of the German artist Martin Eder will be shown. After visiting the gallery, it is worth taking the short stroll to the Thames, where a brightly colored ship is moored, the Tamesis Dock. You can dream away the rest of the day there exploring several winding decks. Dangle your legs over the railing and watch the tide coming in or going out. Vauxhall Tower is to the west, and looking east you’ll see the Houses of Parliament (Big Ben is currently enveloped in scaffolding; there is always something covered up). Directly opposite, the Tate Britain peeks out through the trees. Summer in London is spent in the park. Although this year the English lawns are yellow and burnt, you can easily cover that over with a green picnic blanket. We stay in the south, welcome to Battersea Park – one of the most attractive parks in the city. There is a large lake where you can ride little boats. On the shore is the Pear Tree Café with open-air Jazz concerts every Wednesday evening. The park has a peace pagoda, a subtropical garden, an English rose garden and winding paths through the woods. And you can sit on the picnic blanket and enjoy your Pimm’s Bowle, the Aperol Spritz of the North. For anyone who is not content to just lounge around in the sun, there are plenty of great places to go swimming in London. Wild swimming, if you please. Therefore we travel to North London, Hampstead Heath. The Heath has three large “ponds”: the Ladies’ Pond, the Men’s Pond and one for “Mixed Swimming.” Swimming surrounded by nature for a two-pound donation. What more do you want? From North to South London again: There is a real gem to be found between Camberwell and Peckham, namely the South London Gallery (SLG). Outside all Victorian architecture, inside international contemporary art. And behind the building is a small garden oasis with a café. Perfect for enjoying a cup of tea and delving into the guidebook once more after visiting the exhibition. The gallery’s extension building is set to open in September 2018, in the old Peckham fire station on the opposite side of the road. After our excursion to the SLG we take a wander through Peckham. All kinds of exotic culinary ingredients are on offer on the high street, but we sit down for a bite to eat in Persepolis: Authentic, delicious Persian cuisine at unbeatable prices. Persepolis is designed as a café, which you enter through the adjoining corner shop. Owner and chef Sally Butcher cooks so well that she has now published numerous cookbooks. In summer it’s best to leave London for a while. Seafood lovers should head for the North Sea coast. The likes of us wish to see art of course and are therefore best advised to head for the Pallant House Gallery in Chichester. Its show “Virginia Woolf: An Exhibition Inspired by Her Writings” is on display until September 16, with works by 80 women artists from 1854 to the present day. For architecture enthusiasts, London literally opens its doors in late summer in a very special way. The annual Open House London is the world’s largest architecture festival. For one weekend, this year on September 22 and 23, over 800 buildings are open to the public that are usually off limits. They include private residences, government buildings, historical places and educational institutions. While it may not be the only speakeasy in the style of the Prohibition era, it’s certainly the best. To end your London trip on a dignified, trendy note take a visit to Nightjar near Old Street station. Almost invisible from the outside, the doorman lets only guests with a reservation into the cellar. In the inviting semi-darkness, the candlelight reflecting from the metal coffered ceiling, you can sit in a leather armchair and drink (authentic Prohibition-era) cocktails you have never dreamt of and lose yourself in the live Jazz. The SCHIRN MAG also trav­elled to Lisbon, L.A, New York and Basel this summer and put together the top 10 SCHIRN highlights for the cities.